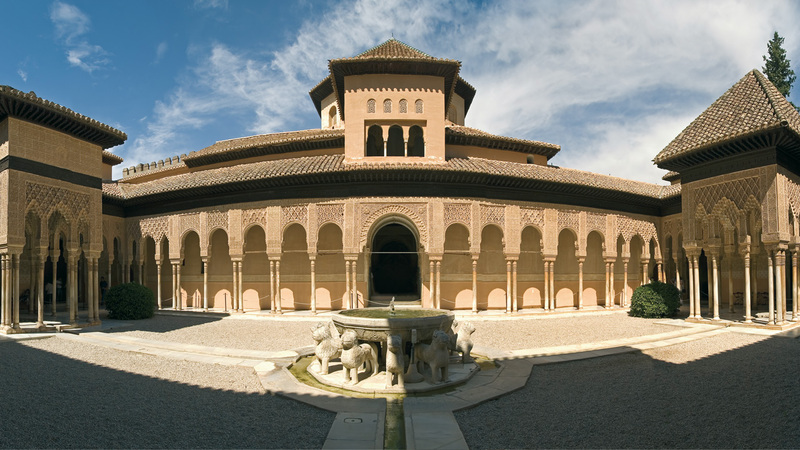 Legend of the Chrysler Building in New York and the Alhambra in Granada. Visits and guided tours online. 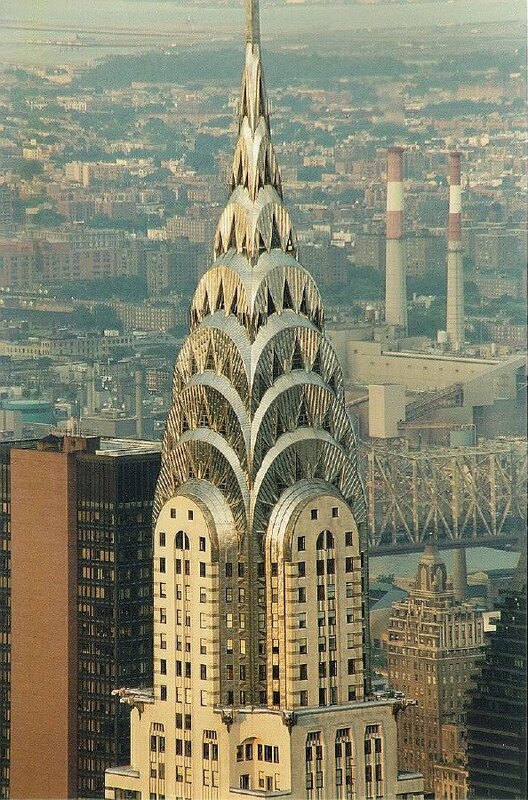 Written in the twenties by John J. Healey, an American writer, hides the fact that the Alhambra in its corridors a life-size copy of the Chrysler Building in New York. Apparently, when Walter P. Chrysler commissioned William Van Allen to design a building for the Chrysler Corporation in 1928, secrecy was of the utmost importance. The skyscraper was still a bold and new concept. 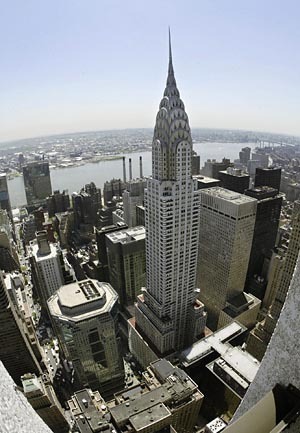 Chrysler wanted the tallest building in the world. Many companies were contemplating a way to praise equally phallic manhood capitalist and, of course, * the design of the largest * was of great value. In order to avoid the spies from other architectural firms, it was decided to build and test a final model in a foreign country. Thanks to Chrysler's lover, a beautiful family Granada * well *, the country chosen for the project proved to be Spain. More specifically, it was agreed that all work be carried out in two huge tunnels whose existence was known only to a privileged few. 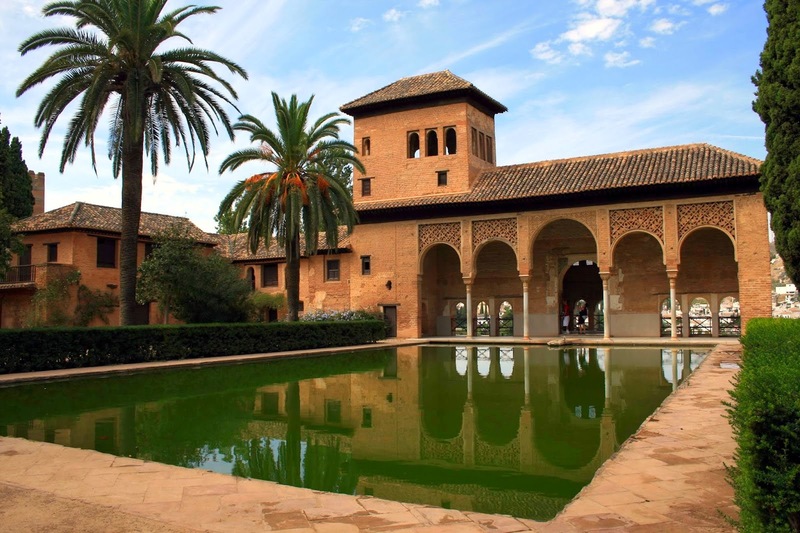 Both tunnels were about one kilometer long and had been made by the Moors in 1394, to connect the Alhambra in Granada with the Gardens of Generalife. They are accessed through a wide arch found in the basement of the building now occupied by a nightclub, the night club "El Rey Chico, near the Paseo de los Tristes, and both men came and went always tools of Night tunnels where the different designs and materials were tested over a period of sixteen months. With the new aluminum alloy, which by then was chosen for much of the outside of the building, was built in bed, a lifesize model of Art Deco skyscrapers. Granada While sleeping, while the seasons changed in the grounds of the Alhambra, beneath its foundations, very deep, there was the building like a huge silver rocket. Plans to build the final structure in these tunnels, and then shipped to the United States in pieces then be assembled on site on 42nd Street and Lexington Avenue in New York. When the model was finished there was a costume ball with Moorish-futuristic theme for all those involved in the company secret. Technicians arrived dressed as creatures from outer space, and with those outfits danced with secretaries wearing suggestive clothing Arab girls. A flamenco guitarist was born in the Sacromonte, blindfolded, and said that the party went on until dawn. In a rather prophetically, the same Van Allen, it was said, had appeared disguised Boabdil, the last Moorish king of Granada. The strange noise from the party finally reached the Patio de la Acequia, where two students had spent the night. Young followed the sound to its source by one of the air intakes of the tunnel, and thus came close to the gleaming skyscrapers that was lying, while Mars and electricians who seemed young slaves of New York dancing the Charleston smoking Camel. One student, a girl of Jaén, for what is said, had a striking resemblance to Evelyn Nesbit, died immediately of a heart attack, while his companion suffered a psychotic breakdown was reduced to spending the rest of his life entered a mental institution in Extremadura. Instead of keeping the scandal hushed, Van Allen and all his lustful company engineers had to go. They sailed from port of Motril, with plans and all, in the private yacht Walter. P. Chrysler, on board of which - allegedly - the party continued for another week. The tunnels were sealed with the building still inside. There is, silent and empty, even today, buried, as a galactic sword and a silver Giralda modern times, buried in darkness, as inaccessible as the Giralda fake Stanford White." 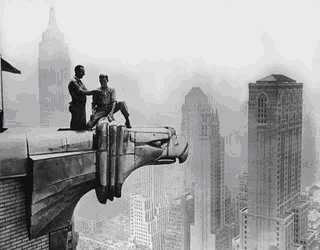 Two workers on gargoyles that adorn the corners of the Chrysler Building 59th floor. 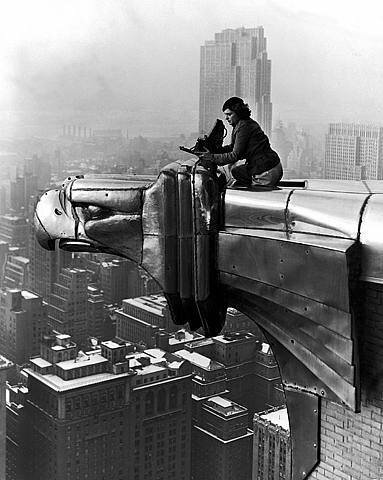 Margaret Bourke, a photographer from Life magazine, which made the picture in 1946 with Gandhi spinning wheel, made a report around the Chrysler Building.